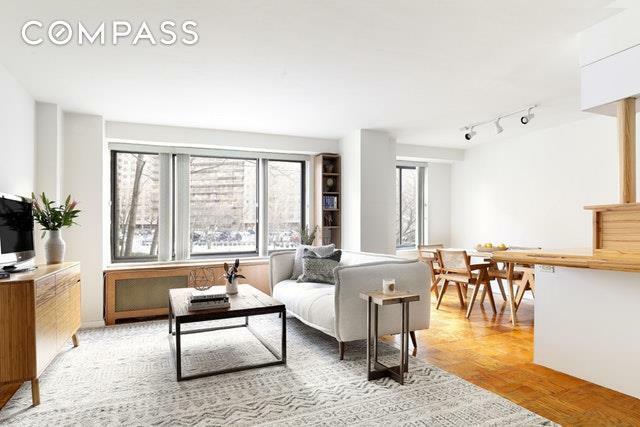 Steps from Central Park this extra-large, bright, one-bedroom condo features a dining alcove and open kitchen perfect for entertaining. 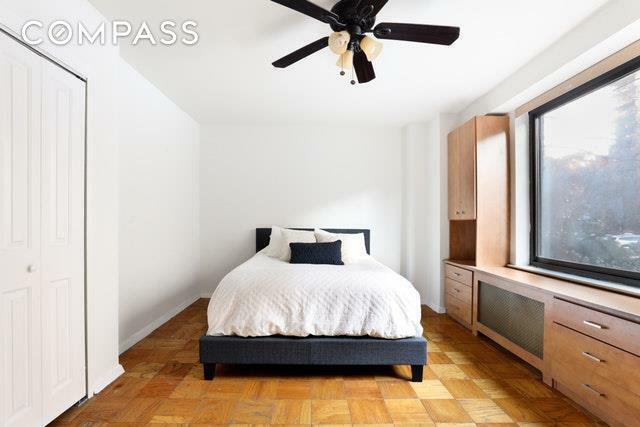 At approximately 840 square feet this large apartment can be converted to a two bedroom or one bedroom with a home office. The south facing windows provide natural light throughout the day with a view of the landscaped garden. The master bedroom is large enough to fit a king size bed, features custom built-ins and has ample space for additional furniture. 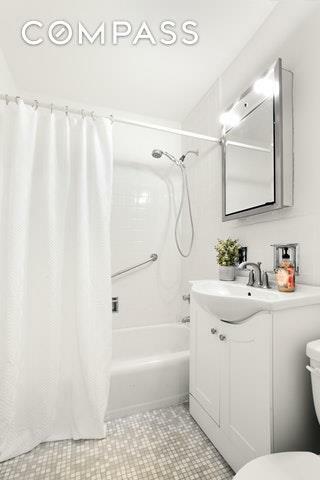 Complete with 6 custom closets this is one of the largest one bedrooms in the building and should not be missed! The Olmstead Condominium features a 24-Hour concierge with a gym, laundry room, bike storage, private storage, live-in superintendent, onsite parking, childrens play areas and a community room. 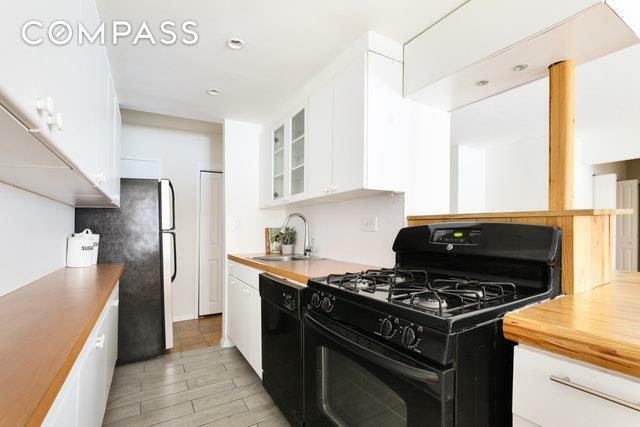 Just steps away from Central Park, Whole Foods, Trader Joe's, restaurants, shopping and transportation with the B/C/1/2/3 trains. Listing courtesy of Courtney Smelter of Compass.